Two recent announcements, one American and one Canadian, highlight the growing influence of open source development methodologies in the processing of Earth image data. 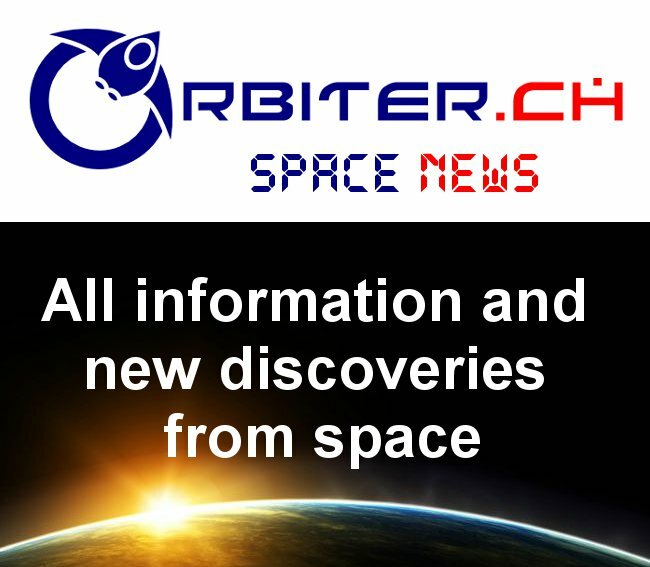 The first, as outlined in the August 18th, 2014 Waterloo News announcement "Waterloo makes public most complete Antarctic map for climate research," deals directly with what has until now been perceived as the esoteric core of Canadian space agency activities, RADARSAT-2 data. Thanks to a partnership between the Canadian Space Agency (CSA), MacDonald, Dettwiler and Associates Ltd. (MDA), the prime contractor for the RADARSAT-2 program, and the Canadian Cryospheric Information Network (CCIN) at UWaterloo, the mosaic is free and fully accessible to the academic world and the public. 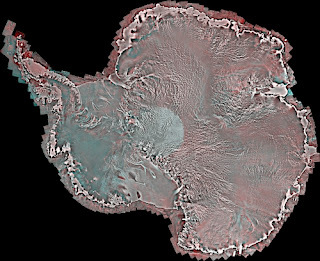 Using Synthetic Aperture Radar with multiple polarization modes aboard the RADARSAT-2 satellite, the CSA collected more than 3,150 images of the continent in the autumn of 2008, comprising a single pole-to-coast map covering all of Antarctica. This is the first such map of the area since RADARSAT-1 created one in 1997. Next up, at least according to the article, is a similar mosaic for Greenland, "which will provide further crucial information about our shifting climate in the northern hemisphere." There are also plans "to continue creating mosaics of Antarctica every few years to provide more data for researchers." This RADARSAT-2 pole-to-coast Antarctic mosaic was created by MDA in cooperation with the Canadian Space Agency as part of the International Polar Year. Image c/o CSA. NASA has selected four ideas from the public for innovative uses of climate projections and Earth-observing satellite data. The agency also has announced a follow-on challenge with awards of $50,000 to build climate applications based on OpenNEX data on the Amazon cloud computing platform. Both challenges use the Open NASA Earth Exchange, or OpenNEX, a data, cloud computing, and knowledge platform where users can share modeling and analysis codes, scientific results, information and expertise to solve big data challenges in the Earth sciences. OpenNEX provides users a large collection of climate and Earth science satellite data sets, including global land surface images, vegetation conditions, climate observations and climate projections. These two articles are examples of the "public good" model of software development, a model championed by open source developers, whereby existing government/taxpayer needs require the paid collection of geo-spatial data and justify investment in satellites by making the data free and open for the taxpayers' benefit, which ideally leads to economic value and the creation and growth of businesses that make use of the public imagery for the greater good. In this model, satellites, imagery and data are derived from "infrastructure," built by the government of others, which is available for all to exploit. There is, of course, a second model, the "commodity" model whereby private companies fund the costs of satellites via sale of the data/imagery as a commodity on the open market. It is the model championed by IKONOS, GeoEye, Skybox Imaging (now owned by Google), Planet Labs along with Canada's Blackbridge (RapidEye) and UrtheCast. This is the model the Federal government has been supporting recently, with multiple announcements of funding such as those described in the August 9th, 2014 post "Industry Minister Allocates $6.7Mln to Develop Space Apps." It will be interesting to see which model ends up dominating the market. Funding the "Son of Sapphire!"